As the head of a maternity or children’s department, you are responsible for the safety and well-being of all of the children. You work every day to ensure they are well cared for, but what do you do in an emergency? What if the worst happens, and a fire breaks out? How will you get all of the children to safety quickly? In the case of an evacuation, you can only carry two kids at a time down the stairs and out to safety. Time is of the essence, and the more time you spend going back and forth, their safety could be in danger. Introducing the S-CAPEKIDS! This evacuation tool was specially designed to handle the needs of people just like you. 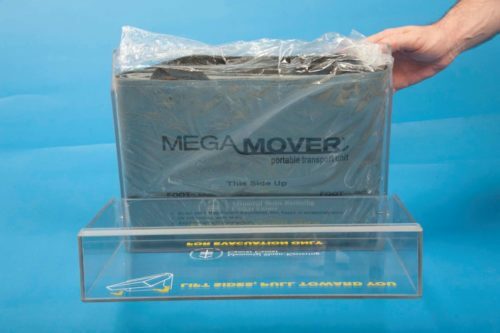 With this evacuation mattress, you can safely and quickly transport four children out of the building to safety. Three core values: speed, easy-to-use and comfort. 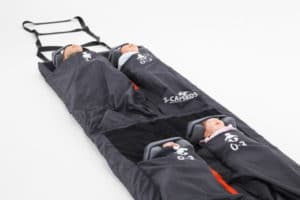 Using the S-CAPEKIDS, one carer can evacuate four of five babies. In combination with a baby carrying bag, the carer also keeps one baby on the back shoulder or at the front side. The device allows you to evacuate up and down the stairs. 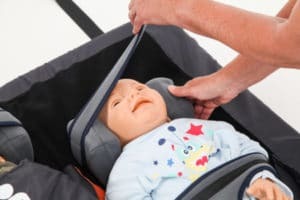 The fast and safe way to evacuate babies and toddlers during an emergency evacuation. There is no other evacuation device like S-CAPEKIDS available. 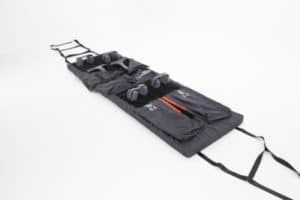 Can be easily dragged by one or two rescuers. After positioning the baby onto mattress, you fixate the arms and belly. Secondly, you fixate the head with the head blocks. After doing this, you cocoon the baby with the flap. Now you can start the evacuation. 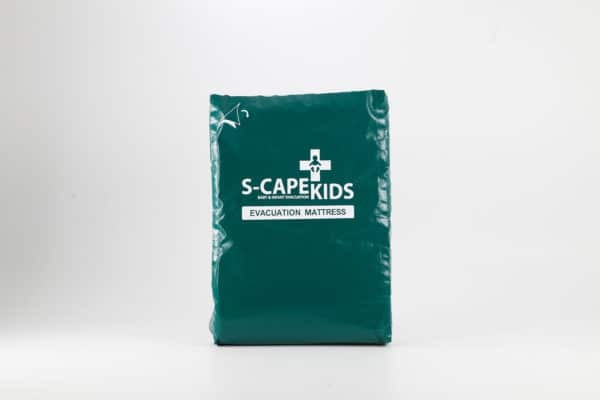 With every S-CAPEKIDS evacuation mattress that you order, you will get an extra green Wall Cover. This allows you to mount the evacuation device to a wall. 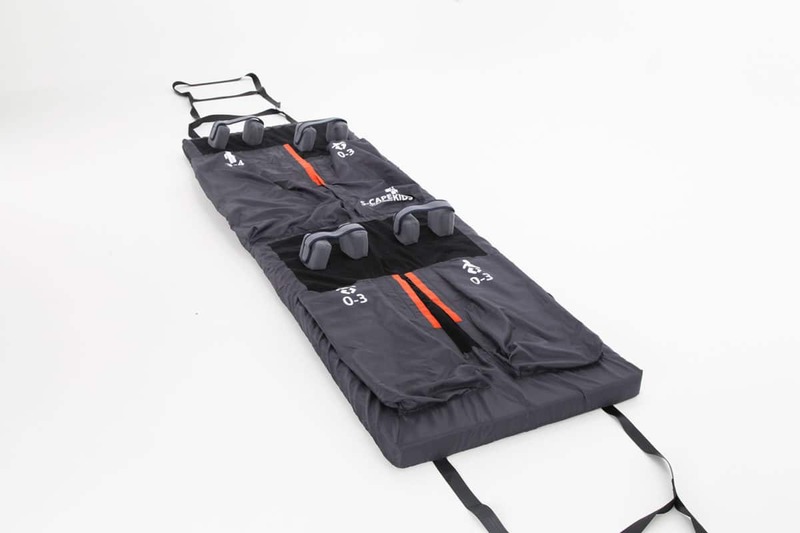 By releasing the hook and loop fasteners, the evacuation mattress can be easily removed from the Wall Cover. The Wall Cover also protects your S-CAPEKIDS from dust and keeps the device in optimal condition. An evacuation device that does not simply do the job, it does it better. 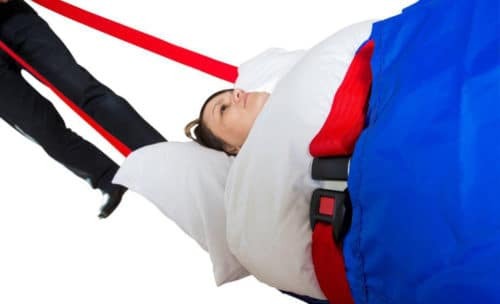 Leave no one behind during an emergency evacuation. Practice with S-CAPEKIDS to build confidence.